Wes Magee (b. 1939) was a teacher when he began writing his first poems. A boy in his class complained that there were no dinosaur poems, and Wes set out to write some for him, little realising he was to become a firm favourite in children's poetry, both as poet and editor. He now writes full time, producing poems (for adults too), stories and plays from a hut at the bottom of a large wild garden in the North York Moors, and touring his Poetry Show to theatres and schools around the country. 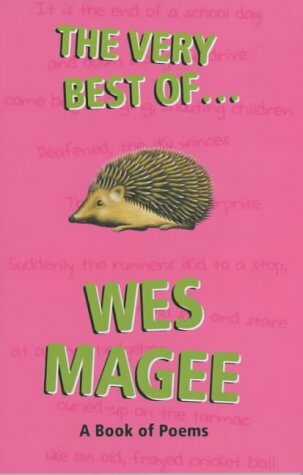 Several of the poems deal with Magee's experience in schools, sometimes from the point of view of the teachers, sometimes from the point of view of the pupils. The glee at being the first to be 'Down by the School Gate' is particularly delightful for working equally well from both angles. There is life outside school too. 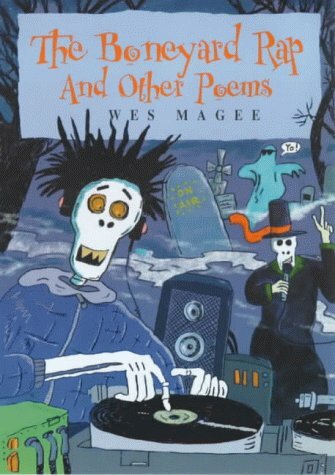 In the introduction to The Very Best of Wes Magee, he writes that "Some of the poems are sad (like 'The Day After'), some are silly (like 'My Dog's First Poem'), some are spooky (like 'The Ghosts of the Grange'), some are serious (like 'Until Gran Died'), and some simply... sunny (like 'What is the Sun?')." 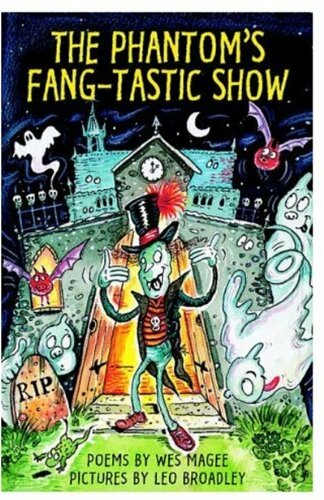 'The Boneyard Rap' is another of the spooky ones, full of rattling bones and scary noises. It's not as alarming written down as it is when Wes performs it, spine-chillingly drawing out the word "wooooooooo!". Many of the poems provide opportunities for performance, from fingersnaps to French accents, and Magee clearly enjoys the rhythms, letting the rhymes ring out in a resonant voice. He gives helpful introductions to several of the poems, whether to let us know that 'Tracey's Tree' is a true story, or to tell us the form of 'A Week of Winter Weather', and for the other poems in this recording he simply launches into the poems with the kind of gusto that makes it clear why he is a cherished figure in children's poetry. His recording was made on 7 May 2003 at the Audio Workshop, London and was produced by Anne Rosenfeld.